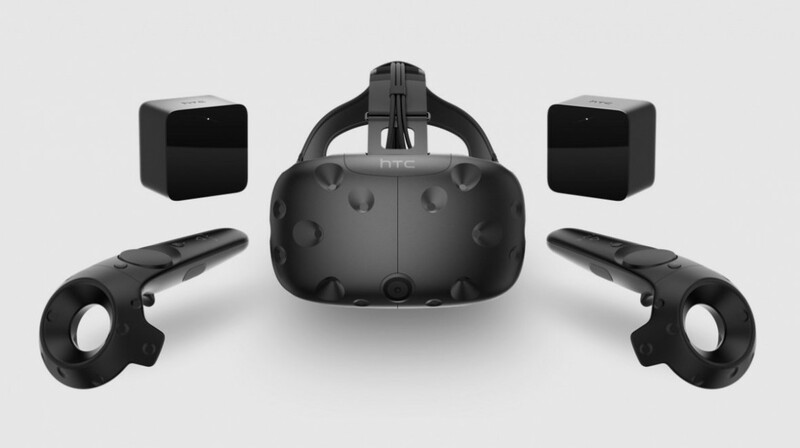 I recently get my hand on an HTC Vive headset, and I spend some time exploring various solutions to display a model in this headset. There are a handful of solutions, like the Revit Live from Autodesk or Enscape, but I choose to focus on a VR-only solution build by IrisVR, Prospect. Installing Prospect is pretty straightforward, and you end up with the Prospect application along with the Revit plugin. 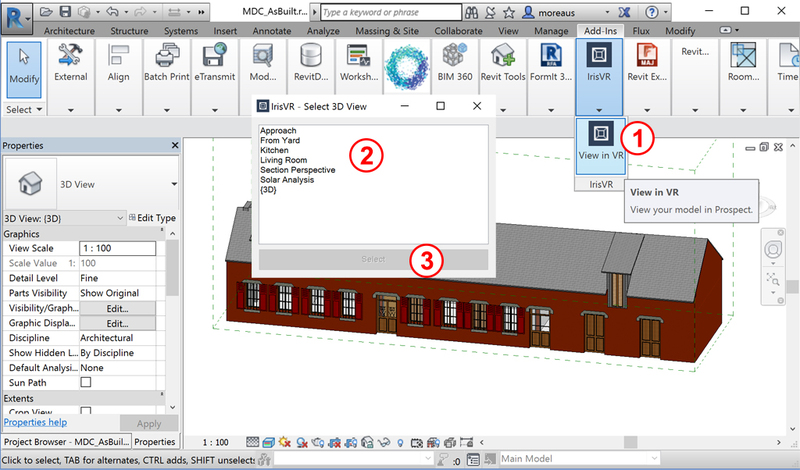 I run the Revit plugin, select a 3D view, and export my model to the Prospect application. The resulting virtual visit is saved in my Prospect library. I can also save this scene as an external file, to open it in another computer running Prospect and a Vive headset. The visit itself is divided in two, a scale model overview and a walkthrough. In the scale model mode, you can see a small-scale view of the model that you are able to manipulate like any 3D view in your favorite design tool. You can also add sections and move them around. The feeling is close to manipulating an actual physical mockup, as we move it, turn it around and “grab” it to have a closer look. This scale model mode also works as the entry point to the virtual visit itself, as it allows you to teleport yourself in the building. In the second mode, the visit itself, you can actually walk into the building and look around. The navigation tool is well designed, and you quickly end up teleporting yourself everywhere in the building, walking around like you own the place. Along with the walkthrough, Prospect provide a few tools for design review, like screenshots and markups. You can draw a few notes in mid-air and take a picture of your annotations for later review. There is also a nice daylighting simulation tools which helps us feel the light inside the future building. To enjoy all these features, you will need a Pro subscription, but you can start with the free tiers, which include the ability to create a VR scene from Revit, Rhino and Sketchup. The overall experience is really interesting, and let us imagine new workflows to validate a design with a colleague or a client. The main drawback, shared by any VR experience, is the lack of interaction with others. Strapped in your headset, you can only see what is inside the scene, and the experience feels rather lonely. However, this is probably the best tool to immerse yourself in the future building and get a sense of the space and light.